The world's foremost electronic cigarette manufacturer has responded to the signs of our mobile times and came through with one of the most technologically advanced vaporizers currently on the market. We proudly present the eCom BT - the first Joyetech e cigarette with Bluetooth capability. 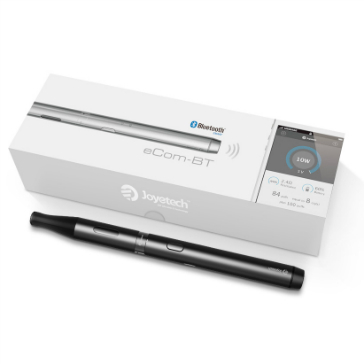 The eCom BT is built around the pioneering aspects of the eCom-C and the embedded Bluetooth chip allows you to connect directly to your smartphone to view and adjust every possible aspect of your vape! 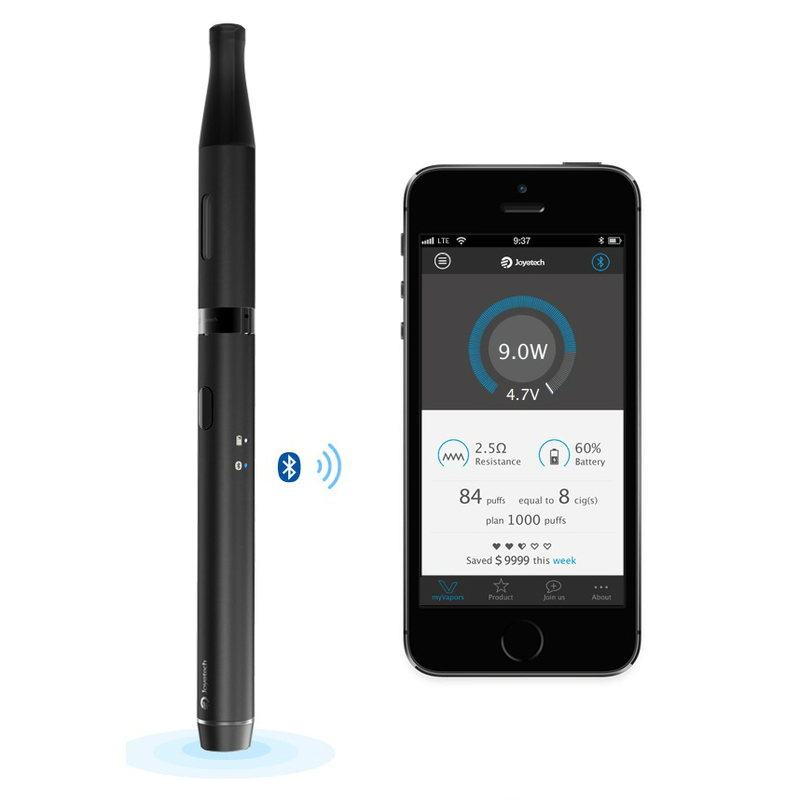 Wi-Fi Smartphone Connection with Bluetooth: The eCom BT is an intelligent electronic cigarette suitable for both Android and IOS systems. It can be customized through the all-new myVapors app via Bluetooth according to your vaping preferences. 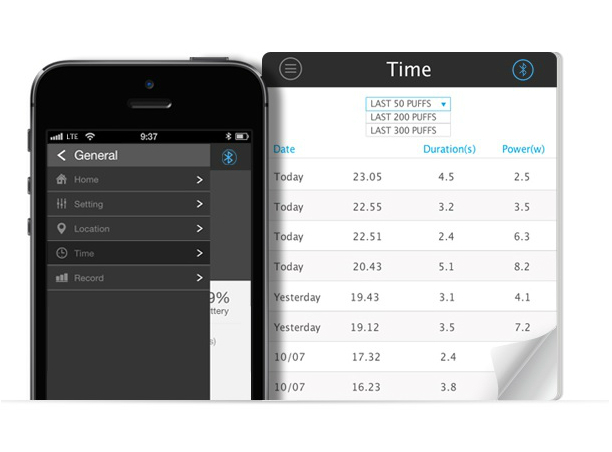 The myVapors app interface shows the adjustable wattage range (up to 10W), atomizer resistance values and battery power. You can also see the number of puffs you've taken, and even how much you've saved during a given timeframe. The various dropdown menus give a plethora of information that include how many puffs you take per day/week/month/year and for how long. Vaping statistics include real-time numbers that show up-to-date entries on the time you vaped, how long the puff lasted and the wattage for each puff. 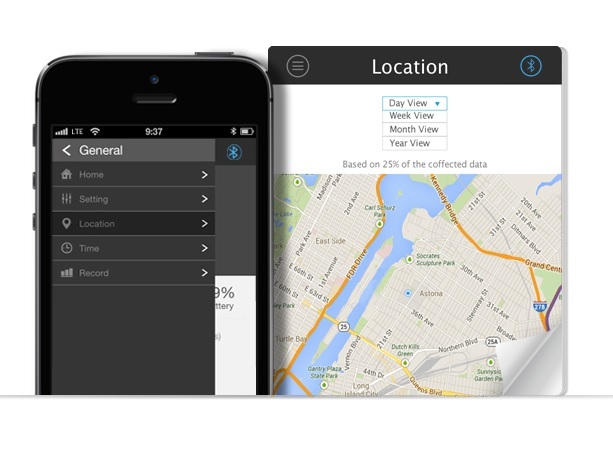 You can even pinpoint where you're vaping through Google maps! Technological brilliance is matched with an extremely durable surface which is coated with a special sealant that is much more resistant to external factors. Strong and sleek, the eCom BT uses the incredibly efficient immersible C2 heads with 2.4 ohm resistance that allow for operating voltages up to 4.5V. The head remains immersed in e-juice while it's in use, a serious innovation that creates extremely heavy vapor in a very short time. It's a fact, the eCom BT is more than 100% when it comes to vapor but what about other aspects of vaping? 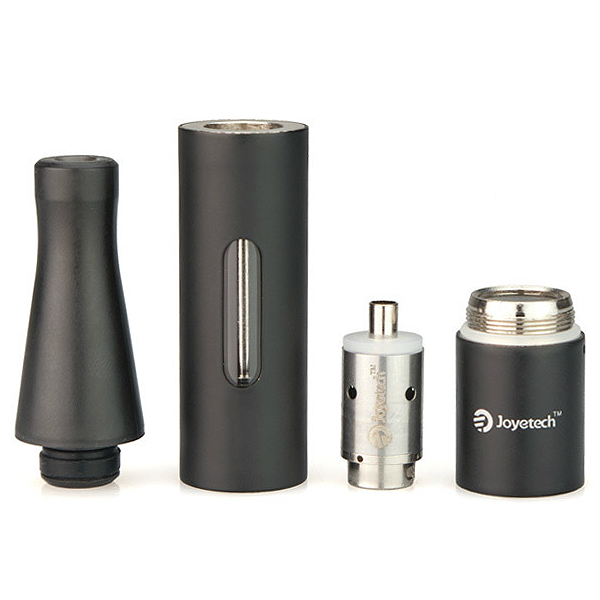 As one would expect, the Joyetech eCom BT covers every possible angle of vaping that one needs for a perfect vape such as the powerful 650mAh battery. 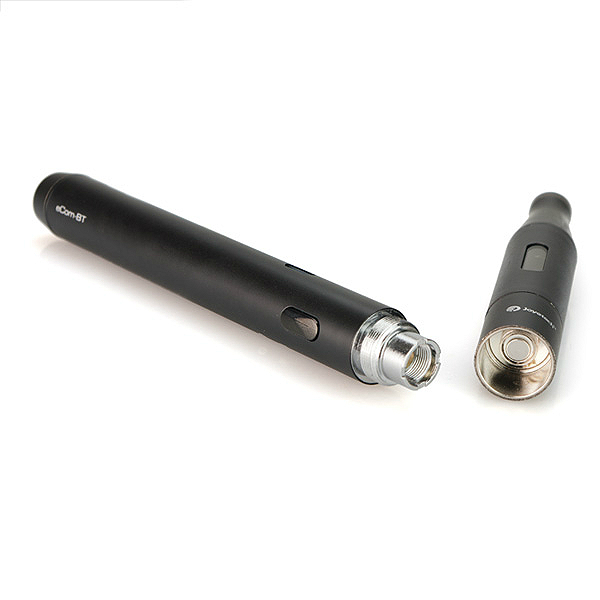 Aside from a long-lasting battery, the liquid chamber takes 1.5ml's of juice and sports a transparent window to be able to check remaining e-liquid levels - powerful and convenient! The superbly designed airflow design has carried on from the eCom-C as it should have been because the upper air inlet and outlets first featured on eCom models have been hugely succesful in eliminating leakages. 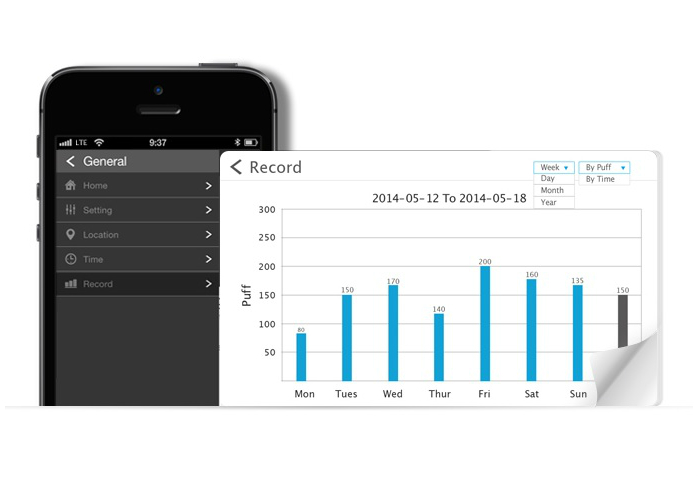 One the biggest improvements on the eCom BT, aside from wi-fi, is about refilling. 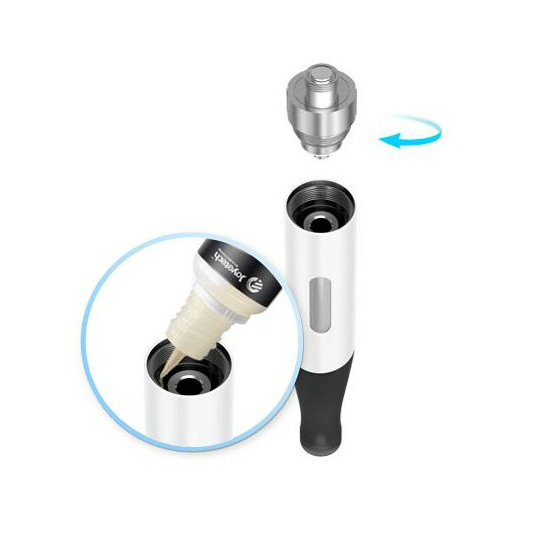 You don't need to screw off the mouthpiece to fill the eCom BT, you just unscrew the base and that's it - easy and no flooding the atomizer head. 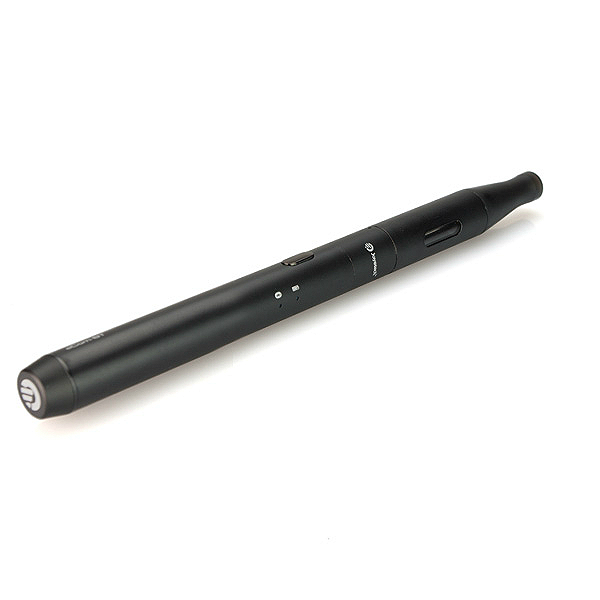 Together with universal 510 compatibility, the eCom BT is an extremely high performing and efficient electronic cigarette that looks utterly awesome despite all the high-tech hardware that went into it. Don't miss this beauty! 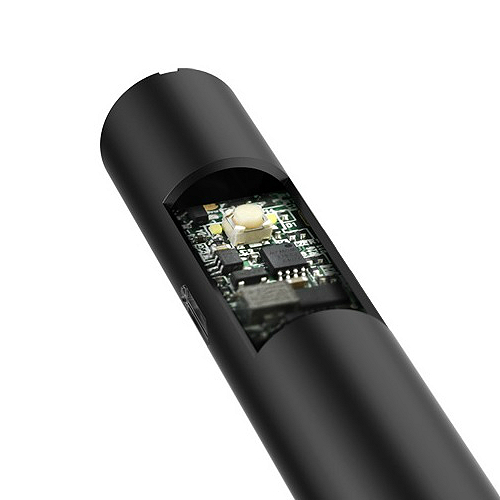 Can connect with your smartphone via the embedded Bluetooth chip and personalize your vaping experience to the maximum. 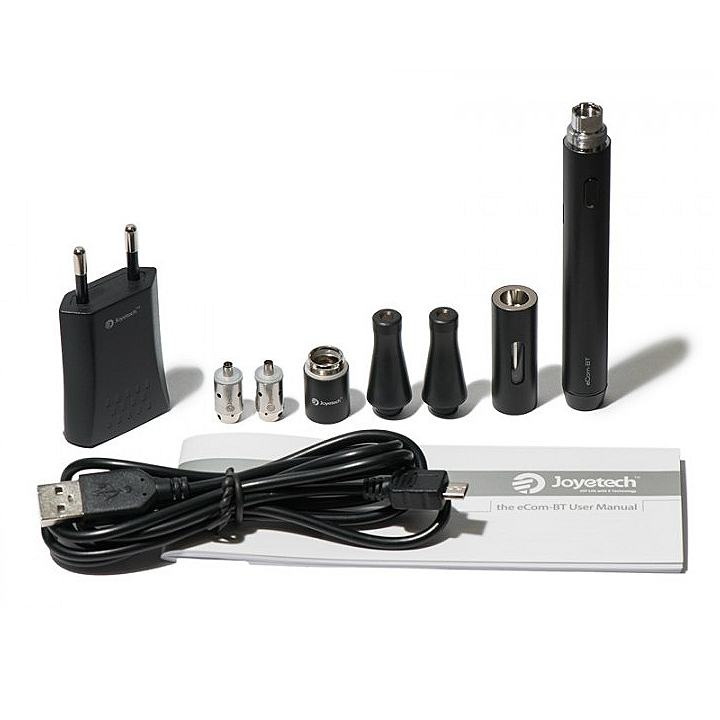 The eCom BT delivers vapor at excellent flavor transmission levels and a very respectable throat hit. The eCom BT has air inlets and outlets at the top that better direct airflow within the device and thus eliminates the likelihood of any leakages. Extremely durable build that's treated with a special sealant for a surface that's much more resistant to outside factors. Stylish lines and beautifully trim looks are guaranteed to get you noticed. → It's always a good idea to stock up on atomizer heads; please click here for C2 heads for the eCom BT.